Located on the most active road in Bangkok, Khaosan Palace Hotel offers convenience to major hot spots and attractions. Historical sites worth exploring include are Wat Arun - Temple of Dawn, Wat Phra Kaew, the national museum, and The Grand Palace - all of which are easily accessible through public transportation. Rooms are neatly prepared for utmost comfort and convenience. Each room comes fitted with air conditioning, a desk, an in-room safe, an LCD television, a mini bar, satellite/cable TV, and complimentary wireless internet access. Khaosan Palace Hotel offers luxury accommodations with wallet-friendly prices. Khaosan Holiday is a charming and stylish guesthouse on a heart of old town Bangkok, offering visitor a wonderfully experience unique right in heart of famous street, Khaosan road. It is vibrant but relaxed atmosphere prefectly complement the excitement of Khaosan road. 15 minutes by walk to Grand Palace, 25minutes walk to Golden Mountain, 15 minutes by walk to Phraathit pier. 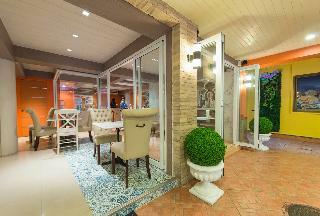 This guesthouses features a restaurant and a 24-hour front desk. Free WiFi access is available in the lobby. Khaosan Holiday is a 30-minute drive from Siam Shopping Mall and an hour's drive from Suvarnabhumi Airport.Modern rooms at the hotel offer air conditioning and a private bathroom. A TV with cable channels is included. 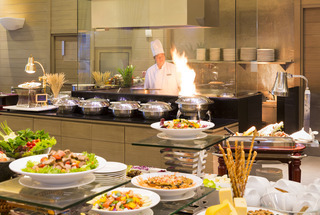 Guests can have local Thai delights, Italian favourites or fresh seafood at the hotel's restaurant. 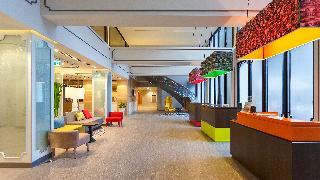 ibis Styles Bangkok Khaosan Viengtai is a stylish 3-star hotel strategically located in the heart of the action-packed Khaosan Road area. Guests staying in Bangkok's old quarter can enjoy a variety of street food, cultural attractions, and entertainment waiting to be explored. 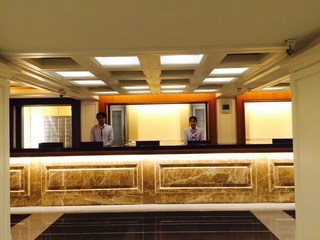 The hotel offers 215 unique rooms that serve single to family travellers. Whether on holiday or on business, all guests can enjoy our services and facilities from taking a dip in our outdoor pool to having a productive meeting. D&D inn settled on Khaosan road offers most comfortable accommodations with the upper class facilities at reasonable prices. 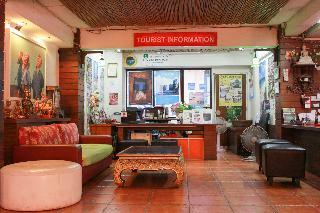 Being very popular among backpackers, the hotel features grand palace-view swimming pool, cozy bar. The bar with great services is especially known among backpackers as the best place to meet new people. The hotel also has its own plaza with the shops including tailors, tourist agencies, tattoo, clothing, and antique. 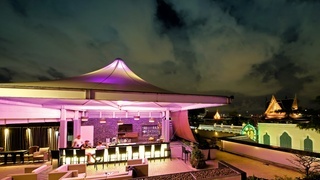 In the Banglampu shopping area, Villa Cha-Cha is a 2-minute walk from the lively Khaosan Road. Featuring modern Thai interiors, this resort has an outdoor swimming pool and non-smoking rooms with free Wi-Fi.Cha-Cha Villa is a 10-minute drive from the Grand Palace and Golden Mountain. Chinatown and Pak Klong Talad Flower Market are a 15-minute drive from the hotel. Modern decor and warm lighting feature throughout rooms at Cha-Cha. All include a TV and private bathroom with shower facilities. A hairdryer and toiletries are provided. Guests can relax in the sauna, or take a walk in the landscaped garden. The staff at the tour desk can assist with ticket and sightseeing bookings. The restaurant serves a variety of Thai and Western dishes. Outdoor dining options are also available.